If you’re reading this article, you’re likely familiar with some of the challenges facing older folks: your muscles may get weaker and ache more readily. Falls can do more damage. Your energy and endurance may wane, and your skin may get thinner. Your eyesight and memory many not be as sharp, and your fine motor skills may become less coordinated. 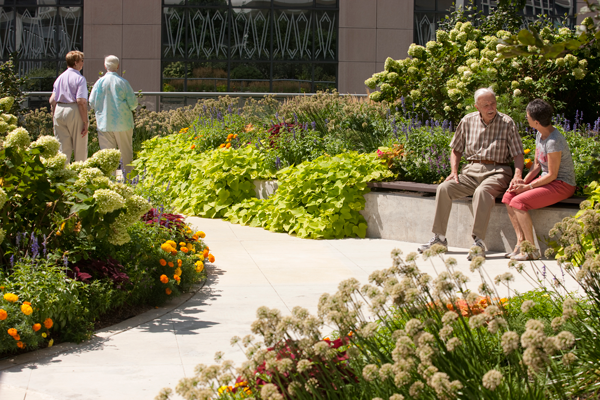 What can the estimated 85 million U.S. gardeners do to continue gardening as they age? 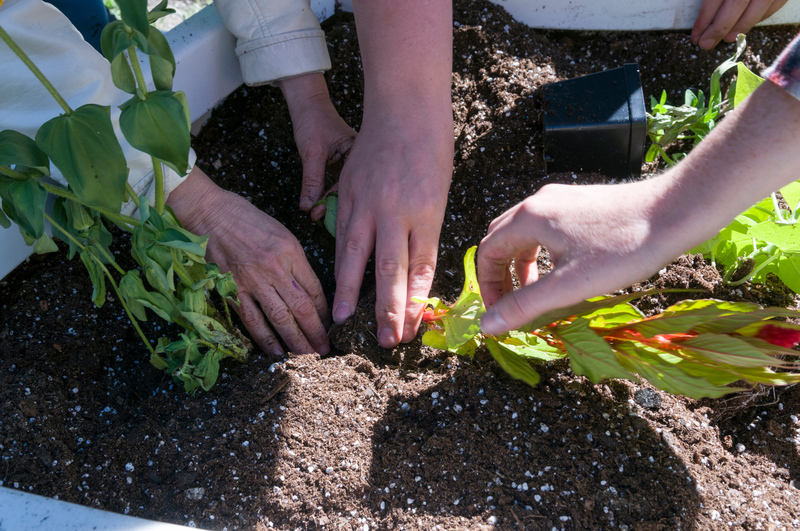 Gardening provides so many physical and emotional benefits that it’s well worth pursuing. The activity may even improve problems associated with aging, such as depression, osteoporosis, diabetes, and poor sleep. Keeping active in the garden is what our volunteers love best. So let’s explore some ideas that might help you continue gardening despite these challenges. I’ve found that prevention, preparation, positioning, and partners—the four “P’s,” if you will—enable many older gardeners to carry on. There is no better place to start than prevention. Since recovery takes longer as we age, let’s make sure we have less to recover from. Make a solemn oath not to go out to the garden until you are wearing proper footwear! Even if you plan to just survey the yard while barefoot with your first cup of coffee, danger lurks! Without shoes, you are more likely to fall or sprain an ankle. The damp grass can be slippery, and uneven surfaces can lead to a twisted ankle. Falls can lead to serious complications and are best avoided. Take a few minutes to limber up your joints, especially your back and legs, before you start working in the garden. You will be much more comfortable if your muscles are warmed up. Surprising them by pulling a stubborn weed can cause pain and injury that could have been avoided. Remember to protect your skin. That means sunscreen, a hat, gloves, and loose, light clothing. Invest in a pair of really good gloves that you will keep on no matter what the task. Cuts and abrasions in the skin of the hands are an invitation to infection. Likewise, protect your eyes from extreme brightness with sunglasses. Prevention even applies to the end of a day in a garden. Make sure to put away all tools and to coil all hoses away from walkways. Painting the handles of tools with bright colors make them easier to spot in the garden or lawn. Preparation is the next area where the time spent will be repaid handsomely. Containers along a path are an elegant solution to reducing overall garden space, and making seasonal plantings easier to maintain. Begin with a critical appraisal of the areas you tend. Note what you enjoy most as well as what you dread doing. Look at quantities of plant material, and consider the age and condition of your trees and shrubs. 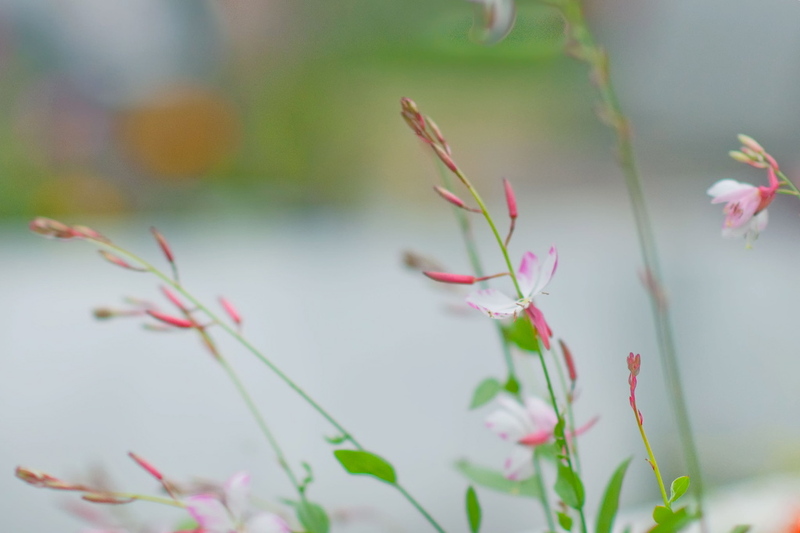 This is an opportunity to make some well-considered decisions and create your ideal garden. Whether you implement changes all at once or gradually, your ideal should include your favorite plants and tasks in manageable proportions. If you do a lot of pruning regularly, decide if that is pleasurable to you. If not, hunt for some woody plants that maintain their shape naturally. If your perennials have grown into huge beds, decide if you would be just as happy with less. If so, remove your extra perennials and offer to friends or garden clubs. If you have been forceful and unsentimental with your removal decisions, you are likely left with some empty areas that need to be filled. This is a critical juncture. In order to avoid swapping one huge garden for another, see if you can cluster your remaining plants into smaller beds. 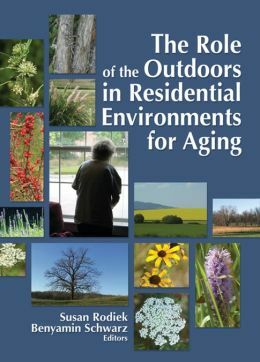 Absorb some of the newfound space with trees or shrubs that provide structural interest, but are low in their demands. Of course, you can always plant more grass, but groundcovers do a nice job with less chemicals and mowing. Another possibility is to begin raising your garden to an easy-to-reach height. 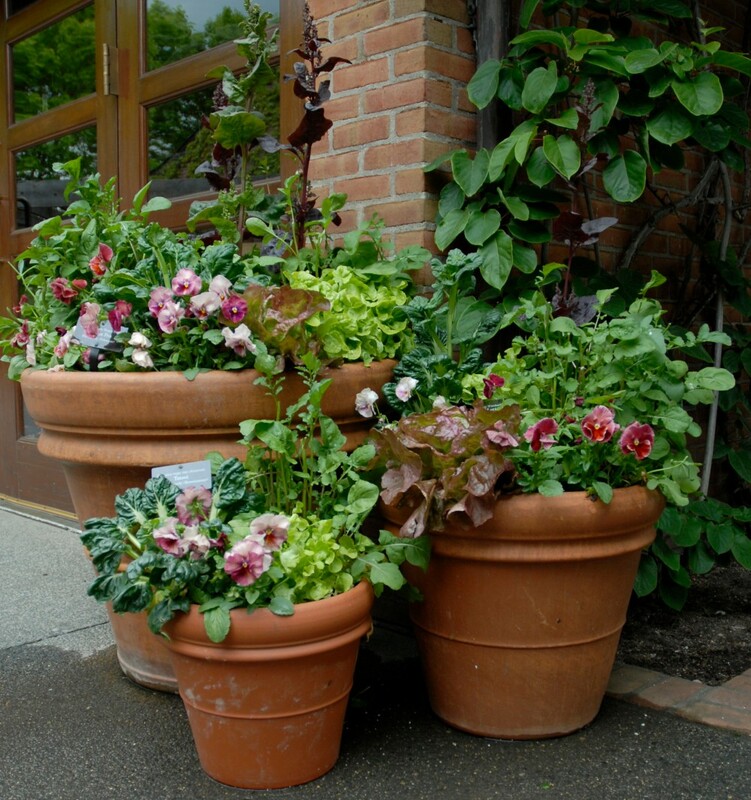 Use containers or create raised beds so that you can tend the plants without getting down to ground level. Perhaps all that space where plants have been removed can be re-envisioned as walking paths among containers and beds. 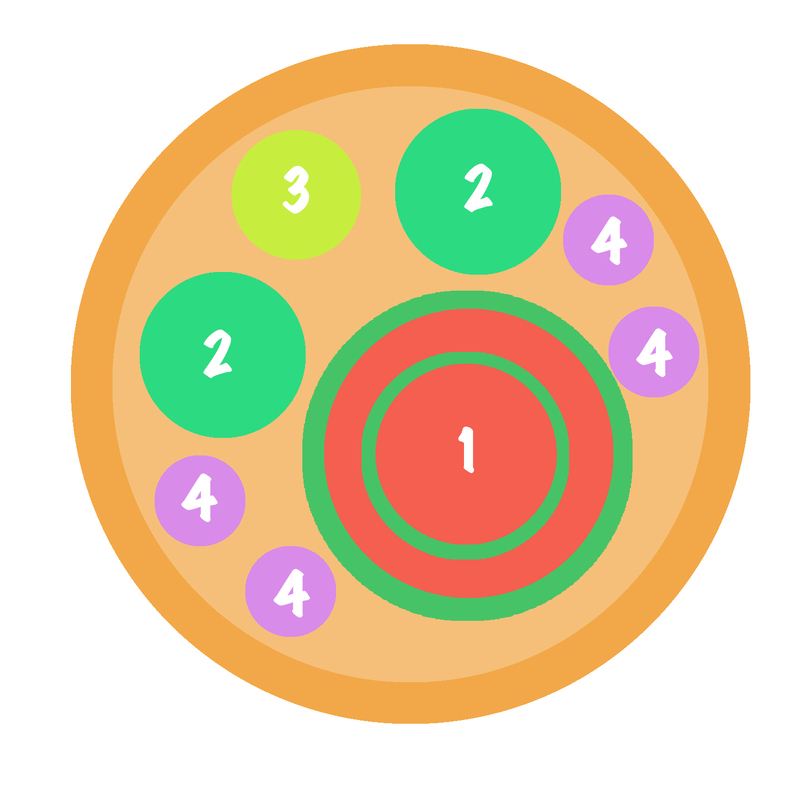 Positioning is the third area to think about. As you revise your garden, keep in mind that reaching down to ground level and up over your head are positions that demand a lot of energy. You will tire quickly unless you can work more in the midrange of your reach. Containers and raised beds bring the soil level up nicely. A raised bed that allows a comfortable approach with a knee space for sitting while facing the bed is ideal. A ledge for side sitting works for short periods of gardening. Try using a pulley system to bring hanging containers down to a workable level and then raise them back up again. Finally, let’s think about partners. 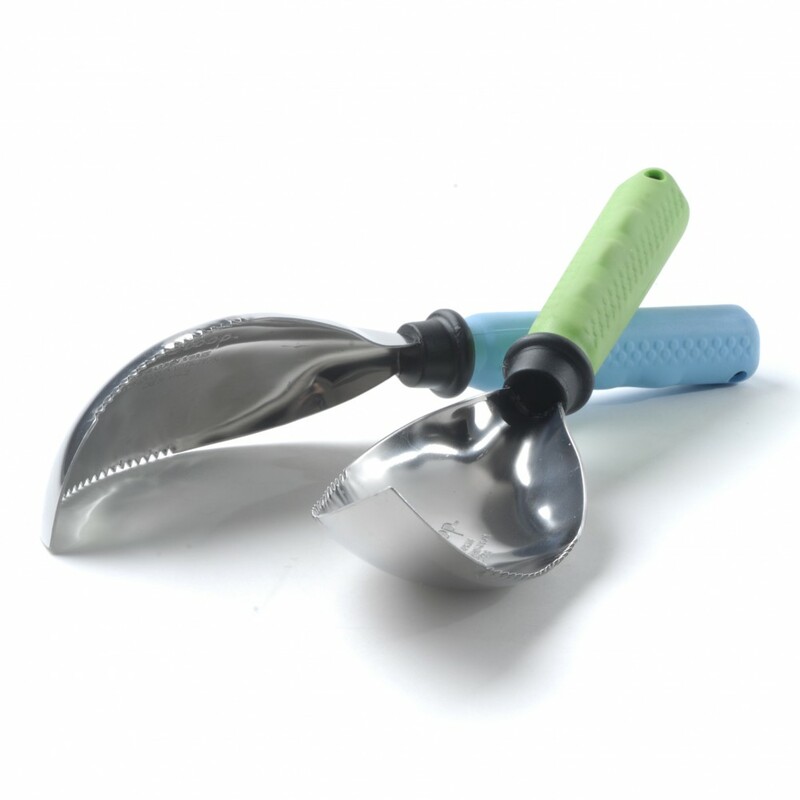 These scoop-shaped, grip-handled trowels with serrated edges combine two gardening tools into one. Partners in gardening can be human—perhaps hired help for the most demanding or onerous tasks, such as removing weak trees. Partners can also be the wonderful tools that bolster your body’s ability. A tool that has good leverage, sharpened edges, and smooth operation of moving parts is a joy to work with. An increasing number of ergonomic tools are on the market. Look for larger, nonslip grip surfaces, handles that allow for two-handed manipulation, tool holders that distribute the workload over more than one joint, and carriers that keep tools safe and handy. Prevention, preparation, positioning, and partners can have you gardening for a lifetime. Such a healthy hobby is worth the time and effort it takes to keep it enjoyable. It’s finally starting to feel like spring in Chicago, which means it’s time to get those home gardens up and running. In the Horticultural Therapy Department, we’re in the process of setting up our off-site gardens at facilities all over the greater Chicago area. These gardens come in all shapes and sizes and fall on a wide spectrum of costs. For today, we’re focusing on how to create your very own home horticultural therapy garden—or perhaps more accurately—your own home horticultural therapy containers. 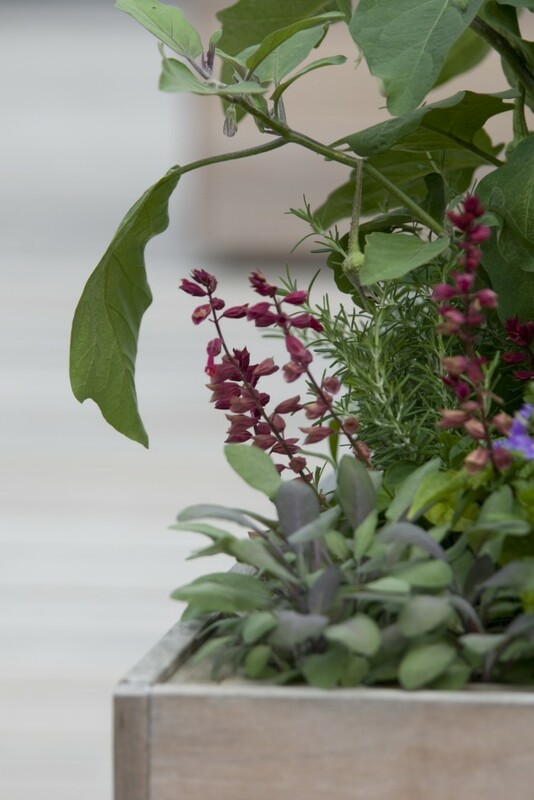 Three containers at various heights create visual interest in the Buehler Enabling Garden. To start your own home horticultural therapy garden, the first thing you need is a good container. At the Buehler Enabling Garden, as well as off-site gardens, horticultural therapists utilize raised, round containers for planting. We recommend that you purchase a planter of decent size (24 to 28 inches in height and diameter) or a few slightly smaller ones. This will enable you to plant a wide variety of plant materials—from grasses to small perennials, herbs to large vegetables. Also, be sure to use a container with drainage holes to avoid root rot and water logging. The next item you’ll need is a rich, nutrient-filled, potting soil. 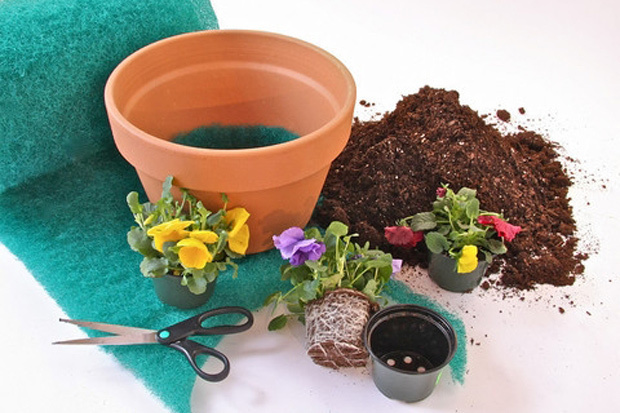 If you’re using a large container, filling the entire container with soil will make it heavy and difficult to move. Placing light, mesh landscape materials in the base, such as Better Than Rocks drainage medium (sold in rolls of bright green mesh), or household items like empty water bottles and landscape fabric, will help keep your container light and decrease the amount of unnecessary soil. Find Better Than Rocks drainage mesh—used in the bottom of our pot—at your local nursery. With the container(s) set and filled, we are now ready to plant our home horticultural therapy garden. Gardens planted with a horticultural therapy intent often consist of plant materials that are engaging to the senses and good for programming. When I refer to “programming,” I’m speaking to the desired slate of uses for the garden. 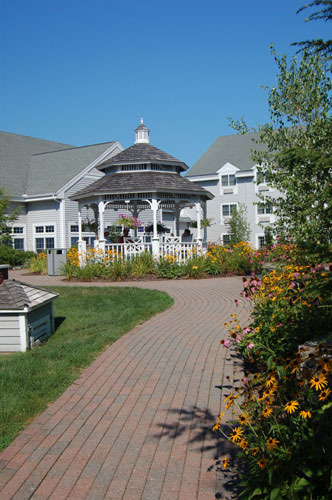 Your “program” may be to provide yourself or a loved one with an easily accessible personal garden to tend to and enjoy. It may also be to grow edibles that can be picked, prepared, and shared with friends and family. Being in a garden facilitates therapeutic outcomes and interacting with plant material enhances the therapeutic experience that much more. 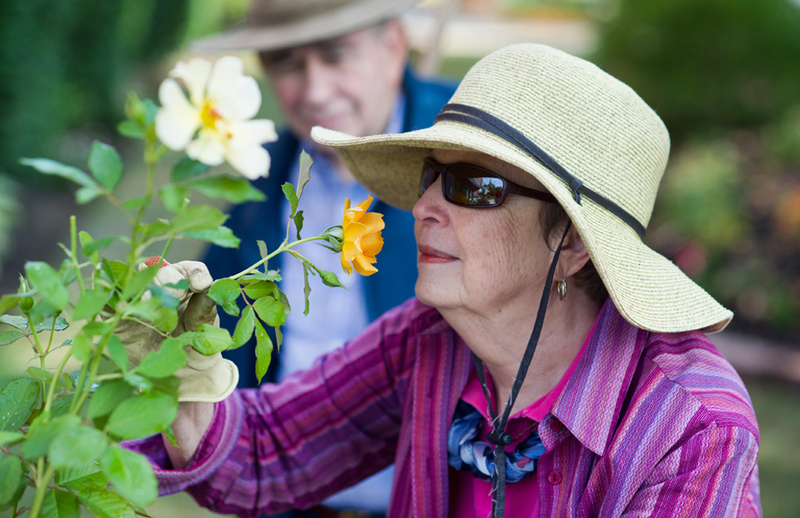 By selecting plants that will encourage activity, you are increasing the likelihood for therapeutic outcomes. Some of my favorite horticultural therapy-inspired plant pallets are those with a variety of textures and sensory qualities as well as pallets that bring about seasonal harvest. In the first sample illustration, I’ve laid out a container of sensory-rich plant material as one option for your garden. Start with a “thriller” or focus plant such as a Pennisetum rueppelianum grass or Caladium X hortulanum (1). This plant can be placed along the side or in the middle. I like to place my focus plant slightly off center in my containers. Next, add some filler sensory plant materials such as Solenostemon scutellarioides ‘Kong Red’ coleus (2) and perhaps an edible plant such as a Stevia rebaudiana (3). Stevia is one of my favorite horticultural therapy plants; the super-sweet leaf makes for a fun treat when maintaining your garden. The final plants are your trailing or spilling plants. This will bring added visual interest to the outside of your container and give your garden that extra pop. I love to use Ipomoea batatas ‘Margarita’—Sweet Potato Vine (4) and/or Calibrachoa x hybrida—trailing petunias (5). Each of these plants has wonderful sensory qualities. The grass stalks or large caladium leaves provide soft fascination as they rustle in the wind. The coleus and stevia add visual texture and color while also lending themselves to programming. The coleus plants can be picked and used for flower pounding, pressing, or for propagation. The petunias can be used for pressing flowers, and at the end of the season, you can dig out your sweet potato vine and eat the tuber/potato at the root. The second illustration—and container—has been laid out to focus on edible plant material. This planter would be ideal for a household that would like to have fresh harvest for cooking activities and experiences. A cherry tomato plant such as Solanum lycopersicum ‘Sun Gold’ (1) can easily be grown in a container. This variety performs very well in our climate (USDA Zone 5) and produces delicious, orange-colored cherry tomatoes. Tomato plants will get leggy as the season goes on, but certain plant material can be placed next to a tomato without interfering with or overpowering it. I enjoy placing a few varieties of herbs in my edible planters. In this example, I placed Ocimum basilicum ‘Super Sweet Genovese’ basil (2) and Thymus vulgaris, or garden thyme, (3) with my tomato, so that I could make delicious items such as fresh pizza, bruschetta, and tomato-basil-mozzarella paninis throughout the summer. Lastly, because it’s an absolute favorite, I snuck in a few Lavandula angustifolia ‘Mini Blue’ lavender (4) plants. These can be used for pressing, drying for sachets, and pure sensory enjoyment. A horticultural therapy garden is about enjoyment and interaction. At the end of the day, you want it to be something that you enjoy caring for. During this time of year, local nurseries and stores are chalk full of garden experts who will be happy to help set you up with all the materials you need. And remember, staff and volunteers are always available at the Chicago Botanic Garden to instruct you on fun and simple gardening basics; just come visit us and ask! As I stepped out of my house this morning, I thought: “I can smell winter.” It’s that subtle shift that you feel as the days click on, and we are led farther away from the beloved fall season. The days continue to get shorter, and the sun doesn’t seem to shine quite as bright so naturally; moods shift, and energy becomes muted. I have a number of friends and family members who suffer from Seasonal Affective Disorder, or SAD. Its abbreviation says it all: lackluster moods, low energy, and even mild depression. Seasonal Affective Disorder is defined as depression associated with late autumn and winter, thought to be caused by a lack of light. Most people with seasonal affective disorder have symptoms that start in the fall and continue through the winter months, which in the Midwest, can seem endless. Lucky enough, there are many ways to remedy this SAD state of mind. Let’s begin by talking about a few winter-themed Horticultural Therapy (HT) activities that will fill your home or office with the sights and smells of the season. 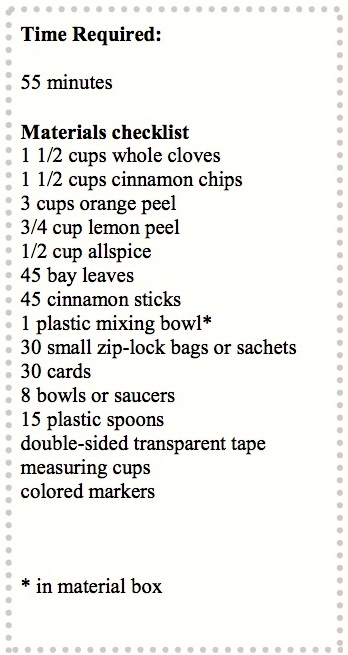 One of my favorite HT activities to do this time of year is our ‘Simmering Spices’ project. During this activity, participants mix together a wide array of spices to create a holiday sachet to use in their home or office, or give as a gift. 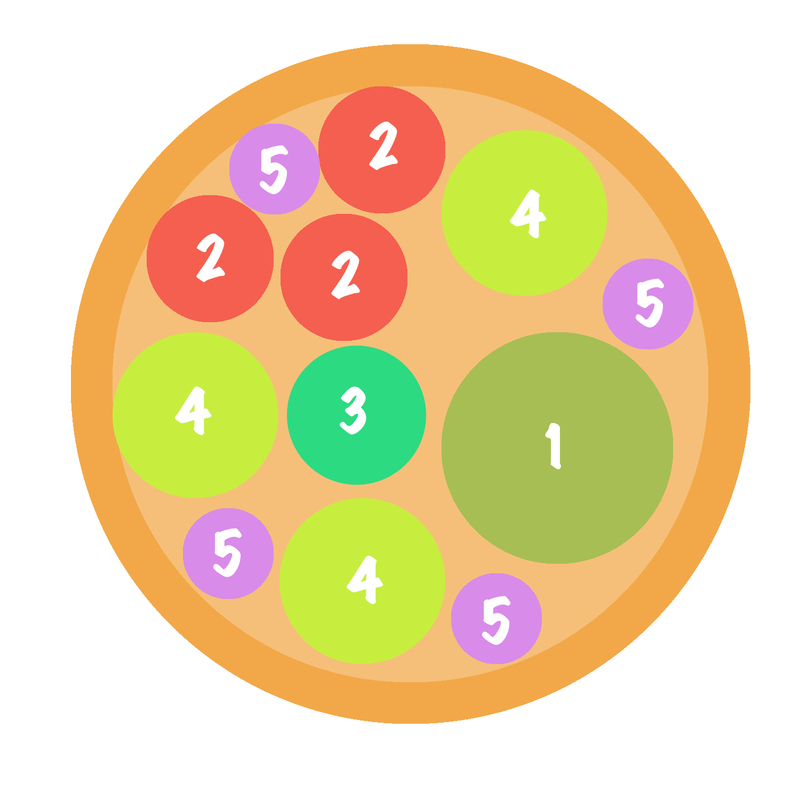 This activity serves as therapy on multiple levels. It encourages participants to engage their fine motor skills as they measure, mix, and create the sachets. Perhaps more meaningful, however, are the vivid and wonderful memories that are brought forth with the smells of the spices. Scent triggers the area of the brain that is connected to the experience of emotion as well as emotional memory. I see this time and time again in my sessions; a participant smells a spice such as rosemary and become engulfed with memories of his or her mother’s roast turkey during the holidays. Socialization plays a large role in horticultural therapy, and it’s a joy to share in the memories with my many participants; young and old. Another fun, and inexpensive, activity is our ‘Holiday Greens Ornament’ project. For this activity, participants get the opportunity to create a beautiful ornament out of fresh, seasonal greens. When I bring this activity to one of my school classrooms, I like to incorporate a garden walk as part of the session. The students, teachers, and I take a quick (and if it’s cold, very quick) walk around the school gathering small acorns and pine cones to add more interest to the ornaments. Most of the craft supplies for the activity can be found at your local craft store. I use clear, plastic ornaments, fake snow, and ribbon to add additional visual appeal to the greens. These ornaments make a beautiful addition to any tree or gift to a loved one. My final recommendation to combat those winter blues is to fully embrace the beauty of the season. Winter is not always the easiest season to get along with; that much I’ll admit. It’s cold and gray and seemingly endless, but it’s also fascinating and full of unique beauty. If you’re feeling blue, bundle up and take yourself on a walk around your neighborhood, and appreciate our region and its four distinctly different and beautiful seasons. 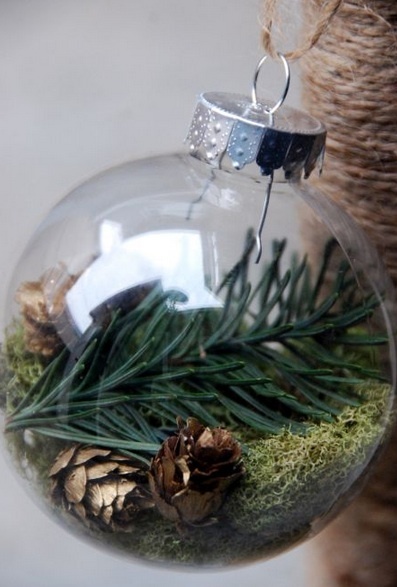 As you walk, gather some pine cones, and create a fresh wreath using natural supplies. Activities like these will turn a SAD state of mind to a glad one, with just a bit of effort. And of course, if all else seems gray, a nice hot cup of hot cocoa (which always tastes better in the winter) and some whipped cream will surely add a bit more enjoyment to any activity or winter’s day. Posted on December 1, 2013 December 4, 2013 Author Clare JohnsonCategories Horticultural TherapyTags holiday projects, horticultural therapy, projects for kids, Seasonal affective disorder, therapyLeave a comment on Fight your Winter Blues!